As humans, our desire to seem nice can lead us to being conned. The following is an excerpt from The Confidence Game, by Maria Konnikova. In 1966, Stanford University psychologists Jonathan Freeman and Scott Fraser observed an interesting phenomenon in their experiments: someone who has already agreed to a small request—like opening the door for you—would become more, not less, likely to agree to a larger request later on. In one study, they asked 150 housewives in Palo Alto, California, if they would sacrifice two hours of their time: a research team of five or six people would come to their homes to classify the household products they used. It was, as anyone would agree, a fairly big ask—invasive and time-consuming both. It didn’t seem likely that many people would be willing to comply. Some of the women, however, had already been contacted once before. That time, in a phone call, they’d been asked to spare a few minutes to answer some brief questions about their preferred brands of soap. When Freeman and Fraser looked at the results, they found a striking difference between the willingness of that one group and the rest of the women in the study. Over half of them agreed to the second request—as compared with one-fifth of those who had not had to respond earlier. In other words, once someone does you anything that can be perceived as a favor—picking up a dropped glove (how many con artists love the dropped clothing article! ), lending you a quarter for the phone (only a quarter! it’s an important call), spending a few minutes on that phone with you in conversation—that person becomes more likely to keep doing even more on your behalf. Freeman and Fraser called it the foot-in-the-door technique. The funny thing is, they later found, the approach worked even if the person doing the requesting the second time around was someone else: doing a small favor seemed to open the door to being nice, generally speaking. It’s one of the reasons that con artists often work in groups. There’s the roper, the one who makes the first request, engaging his chosen persuasive strategies of choice, and then there’s the inside man, a second member of the group who sweeps in for the kill, with the real request (the con that will be played out). You are already in a giving mood, and you become far more likely to succumb than you would’ve been without the initial prime. It makes sense. We often make judgments about ourselves based on our actions, something psychologist Daryl Bem calls self-perception theory. If we yell at someone, we’re rude, but if we open the door for them, we’re nice. As nice people, well, we do nice things. That’s just who we are. And there are few things we like more than thinking ourselves good: we like proof that we are decent, giving, generous human beings. As Cialdini points out, one of the elements that make us more vulnerable to persuasion is our desire to maintain a good image of ourselves. If something is framed so as to make us feel like worthy people, we are much more likely to comply with it. We want to be behave in a way that’s consistent with the image we’ve created. Consistency here plays a crucial role in the other direction, too—not just in our evaluation of ourselves but in our evaluation of the person we’re helping: if I’ve helped you before, you must be worth it. Therefore, I’ll help you again. If I’ve given you a job in my company, I will keep helping you with your “redemption” and will keep trusting you, and may even give you my campaign to run. You are worthy. Otherwise, I wouldn’t have invested my time and resources in you. If I’ve given you an investment for your new colonizing mission, I will keep providing you with capital and eager settlers, maybe even some ships. You must be worth it: otherwise, I wouldn’t have given you any money to begin with. It’s the logic behind many a successful rope, and the logic that has propped up one of the longest-running cons of them all: the Nigerian prince. In the early years of the twentieth century, newspapers abounded with ads for almost all manner of things—medicines, miracle workers, business deals, lucrative investment opportunities, land and gold investments, riches galore. One day, however, a new sort of ad appeared in the pages of several dailies: an appeal from a certain Prince Bil Morrison. The prince was of noble birth and hailed from the far reaches of Nigeria. All he wanted was some American pen pals. So moving was the wording of the ad that the papers had published his mailing address free of charge. Should not the poor prince find some good old American correspondents? He did find them, and aplenty. After a few letters were sent back and forth to his new friends, Prince Morrison made a simple request: would his American acquaintances send him a mere four dollars, and an old pair of pants they no longer needed? In exchange for such a small thing, he would send them vast quantities of ivory, diamonds, and emeralds. To him, they were but worthless baubles. Friendship, however, was priceless. The money and pants poured in. But where were the promised jewels? Complaints flooded the post office. Where was the wealth Prince Bil Morrison had promised to send? Suspecting fraud, the authorities ferreted out the wealthy Nigerian. As they soon discovered, his wealth had been a creation of his fertile mind, as was his nobility. He was American. He was anything but wealthy. And he was fourteen years old. The Nigerian fraud is a classic foot-in-the-door approach. Prince Bil made his way up to his requests for money. First it was just a pen pal—something so small and touching even money-conscious newspapers ran his ad for free. Then it was a few letters. Only then was it cash. And pants. The pants, I am at a loss to explain. From The Confidence Game: Why We Fall for It . . . Every Time by Maria Konnikova, published by Viking, an imprint of Penguin Publishing Group, a division of Penguin Random House LLC. Copyright © 2016 by Maria Konnikova. 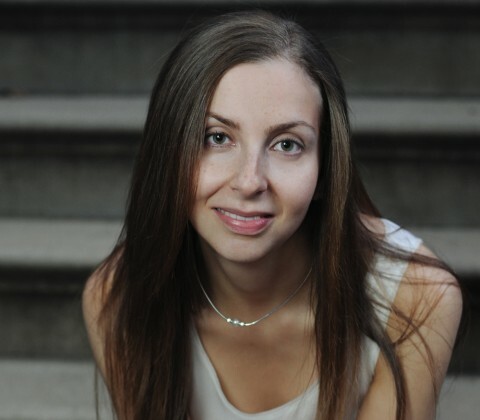 Maria Konnikova is author of The Confidence Game: Why We Fall For It…Every Time (Viking, 2016), and is a contributing writer for The New Yorker. She’s based in New York, New York. 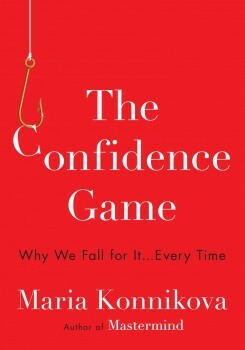 In "The Confidence Game," Maria Konnikova explains how human psychology predisposes us to take the grifter’s bait.